One way to add depth and texture to your landscape is to add rocks and boulders. But that’s tough work, right? And pricey. And moving large boulders takes some heavy-duty machinery. Not if the rocks are hollow. 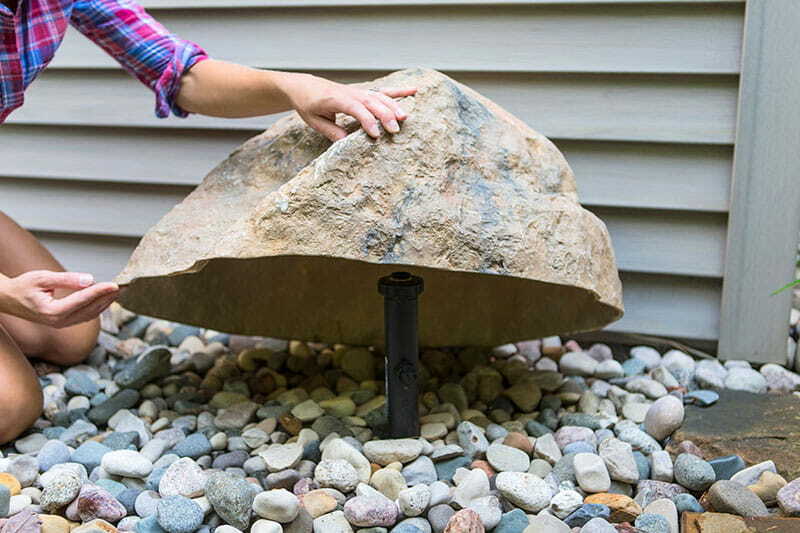 Using hollow, artificial landscape rocks is a smart, DIY-friendly way to refresh your landscape. 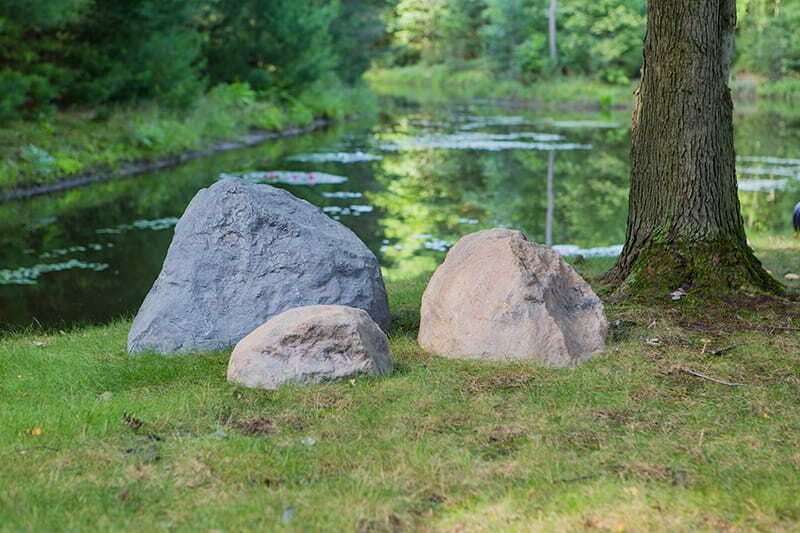 These fake rocks look so real, you can use them in place of real rocks. And you don’t need heavy equipment to move them. You can do it yourself! 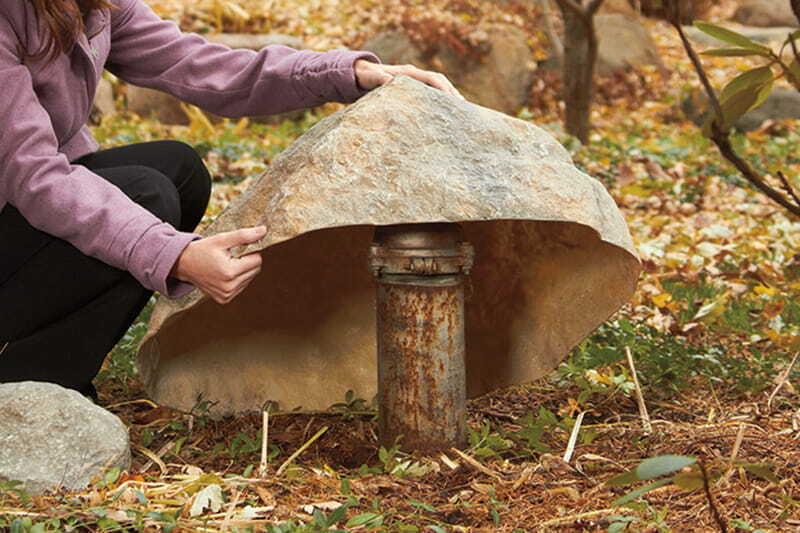 No more wondering how to get a big boulder in the backyard of your well-manicured lawn without tearing it up. Simply carry it! Group them in threes to create attractive focal points. 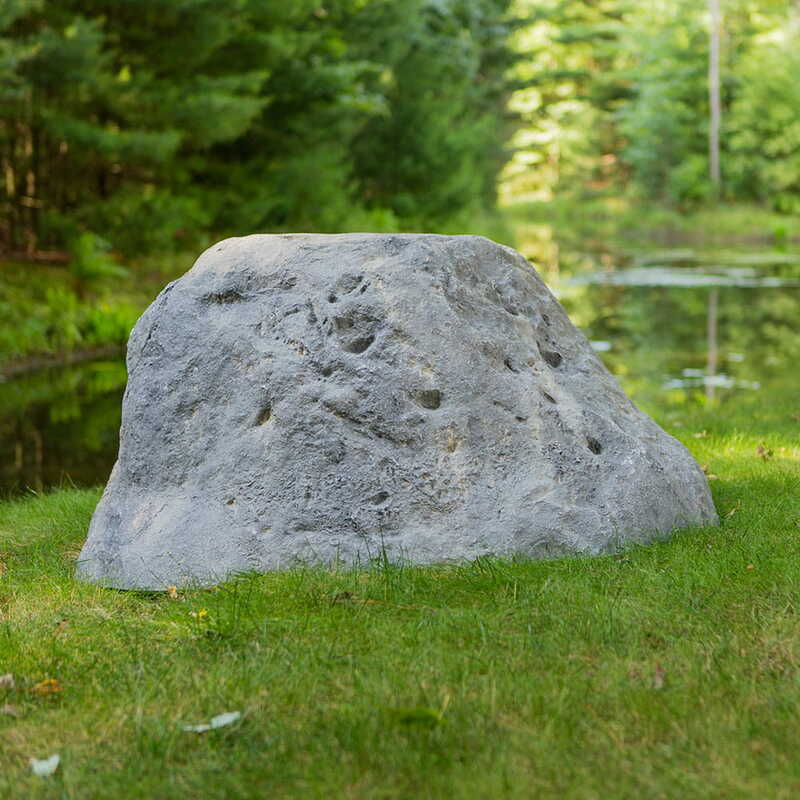 Use one large rock or boulder with two helper stones to add height and dimension to your yard or landscape. Pair them to add texture and fill bare spots in your landscape beds. Choose contrasting styles and colors to give them the look of natural stone. Use a single stone to add height or break up textures. 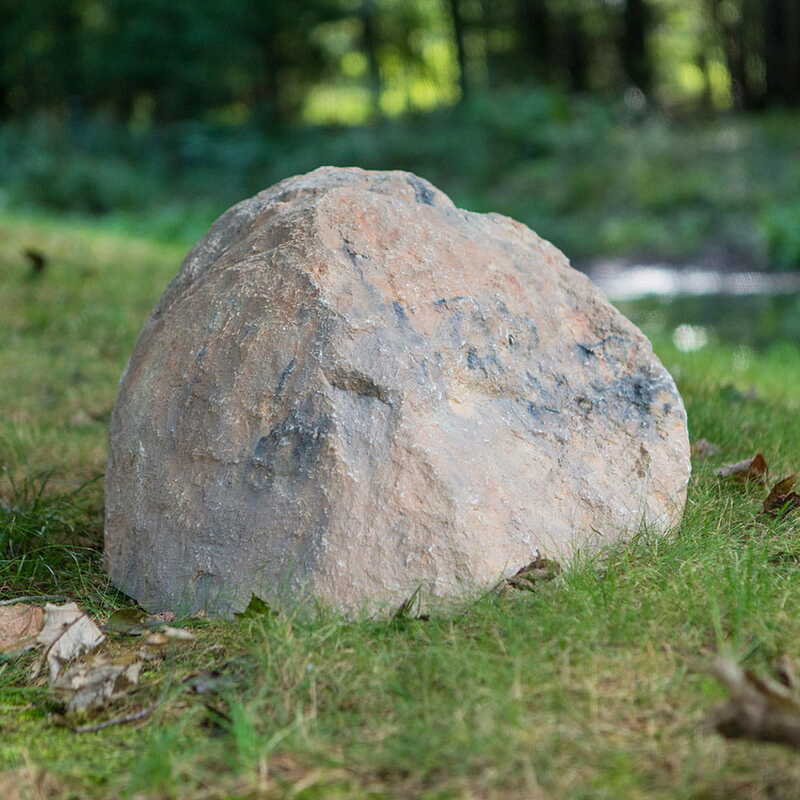 Measure the area where you plan to place the fake rocks and make sure to choose the right size rock for your space. 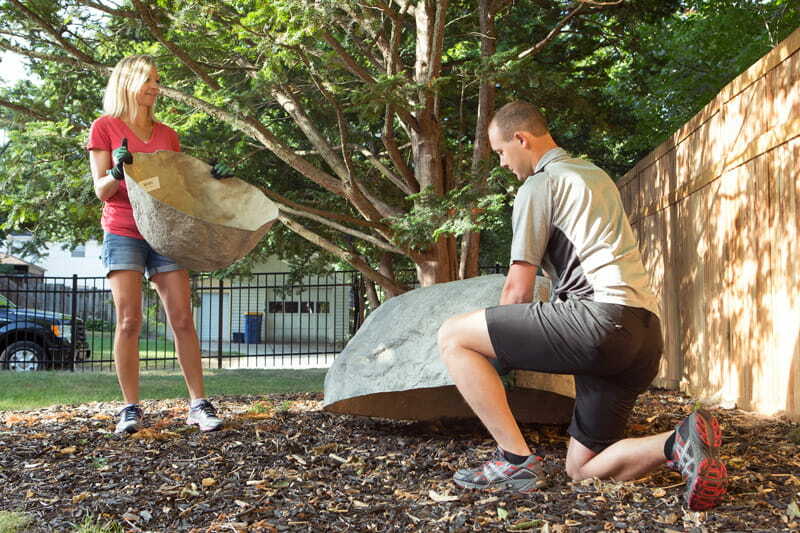 Our boulders take up a lot of surface area, so you want to make sure you have enough room. 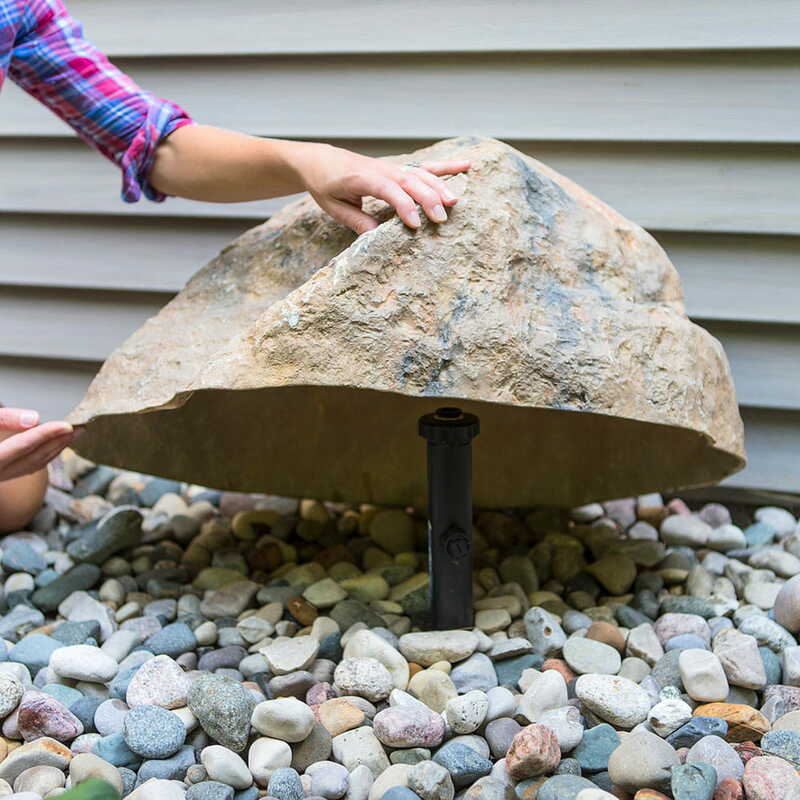 Have a friend or family member help you place the rocks. Most of our rocks can be easily carried by one person, but the larger ones may get a little awkward to hold without assistance. Also, it helps to have a second set of eyes on the composition of the rocks. Let these rocks do double duty. Do you have an area of your yard that won’t grow grass, or an ugly septic cleanout or one of these eyesores in your yard? Cover it with a fake rock. While there is always a place for real stone – artificial rocks are an easier, affordable alternative. Check out our product pages for specific dimensions and find out where to buy. Then get out there and rock your landscape.